Can I order just one shirt? We get asked every day if we will just print one or two shirts. As a matter of fact it might be the most common question that we receive. Unfortunately for custom screen printed shirts we set minimum number at 12. Screen Printing is a very very manual process. 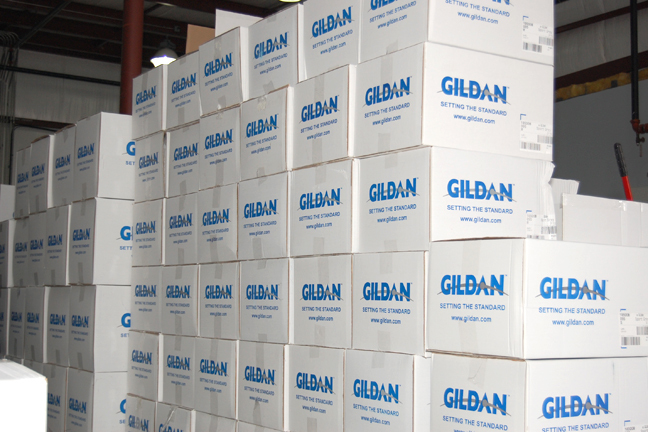 As a matter of fact it takes the same amount of time to setup a job for 1 t-shirt as it does for a job with 100 shirts. So when we average out our cost to a per t-shirt basis, 1 custom printed tee just isn’t affordable ($75 or more). Actually the more shirts you order the better the pricing that we are able to give. 12 screen printed shirts ends up being about the lowest minimum that makes economical sense for our customers. That’s why at Cane T-Shirt Company we set our minimum to 12. To learn more about our all-inclusive pricing click here. Are there other places in town that print 1 shirt? Yes, there are a number of places that print just 1. They use a completely different printing process called Direct-to-Garment (DTG). DTG printing is digital printing. It’s very similar to using your desk top printer to print directly on to your shirts. A long time ago we actually did use the DTG process. The problem ended up being quality. We have always places a high priority on our the quality of our work. We feel that’s what sets us apart from other printers in the area. DTG printing inks do not hold the same quality as traditional screen printing inks. They don’t hold up well after washing and the colors are not near as vibrant as traditional inks. We felt at the end of the day customer satisfaction was more important to use than winning every order that came through our system. Ready to Get Your Order Started?